The gallery was packed on a brisk January night as over 150 patrons and friends showed up to see the long-awaited solo show, RESOLUTE. 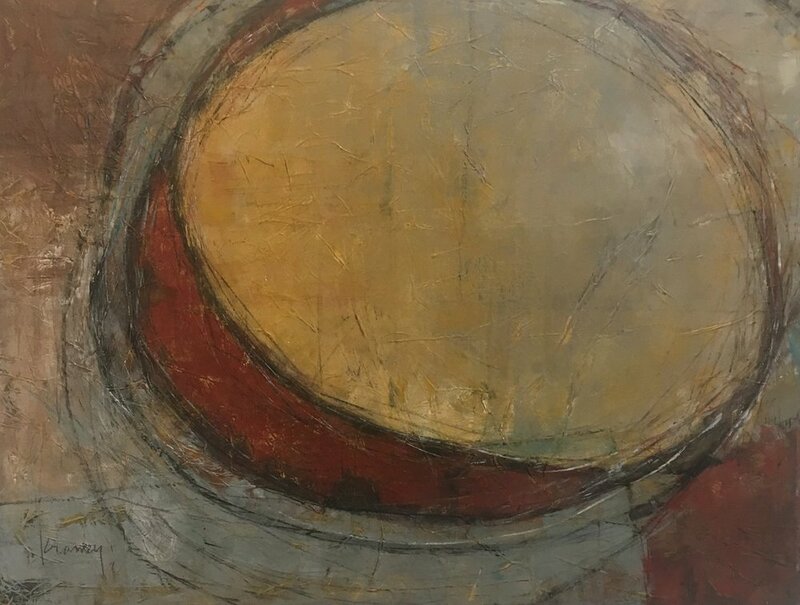 Featuring the works of artist Erika Guillory Page, the month-long solo art exhibit features more than 40 original works and will remain on view through February 25, 2018. The exhibit closes on Sunday, February 25 with an interactive painting experience led by Page, followed by a closing reception. Each event is free and open to the public. Our November Art Walk saw the opening of a very special show: TRANSFORM. This show paired our own gallery43 artist Wellon Bridgers with photographer Whitney Runyon. Our Art for Advocacy event series presents a collaboration of two artists + organizations who believe in offering something for a greater good. 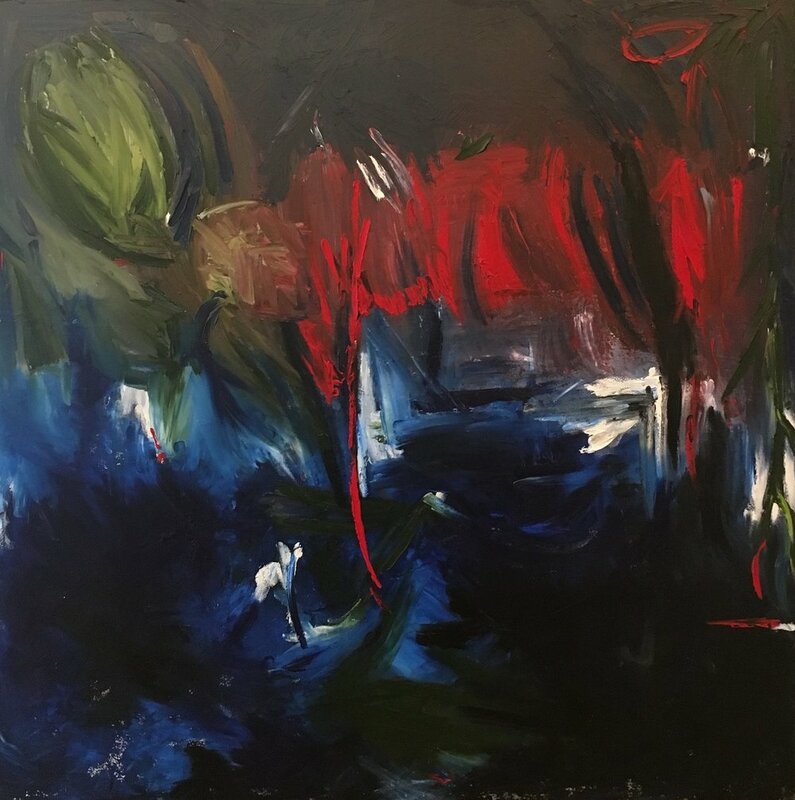 TRANSFORM features original works inspired by the evocative images captured by Runyon. Kim Howes Zabbia, a lifelong resident of Ponchatoula, is an author, artist and teacher. With a B.A. from Southeastern in English & Journalism and an M.F.A. 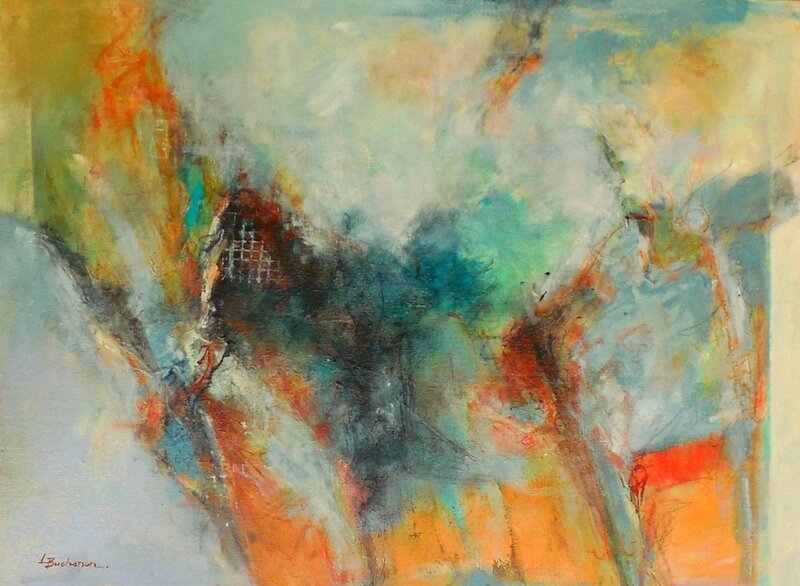 in Studio Art from LSU, Zabbia retired in 2007 from Ponchatoula High School with thirty-three years of experience. Stephen St.Claire was born and raised in the northern suburbs of Los Angeles, California, graduating from Art Center College of Design in Pasadena. Working with oil paint since he was a child, he has spent most of his adult life exploring different facets of art and design, winning numerous international awards for his work. DROP BY THE GALLERY AND JOIN US AS WE CELEBRATE THE OPENING OF FRACTURE. Artist Jeanie Tomanek draws upon themes that first developed in her poetry; exploring various feminine archetypes from myths, folk-tales, fairy tales and her own experiences. The natural world as she experienced it growing up on a farm in the Genesee Valley region of New York also strongly influences her work. Trees, flowers, birds and snow are symbols for emotional states or story elements. Dogs sometimes accompany the pale bald “Everywoman” protagonist on her journeys that often take place beneath a starry moonlit sky. She has been called a mythic artist, telling ancient stories that never grow old. Tomanek is self-taught, and has always painted for pleasure. It is only in the last decade that she has begun her full time artist career. She lives in Marietta, Georgia with her husband Dennis and two rescue dogs. Tomanek is also a published poet and her paintings have appeared as cover art for literary journals and poetry collections. Recently her painting “Thoreau’s Pumpkin” was included in the Hudson River Museum’s “Paintbox Leaves, Autumnal Inspiration from Cole to Wyeth”. Three images were also included in “Re-enchantment” a project produced for Australian Broadcasting Company that explores the ongoing effect of fairy tales in our daily lives. Tomanek's work is held in many private and public collections throughout the United States, Europe and Australia. 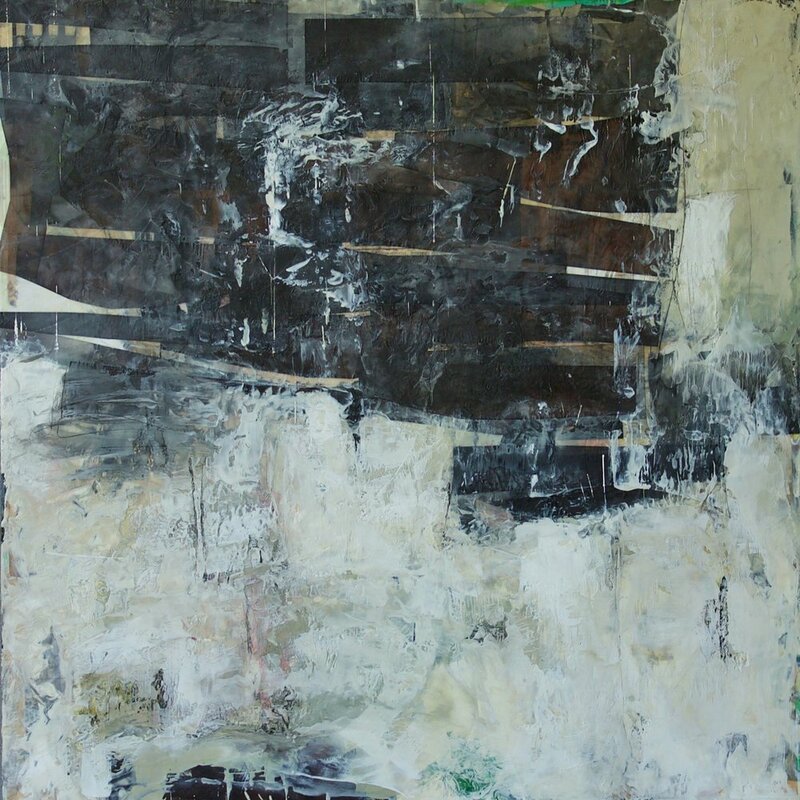 Below is a gallery of Tomanek's works available at gallery43. Angie Sinclair is interested in reflections. "My latest body of work has been focused on figures immersed in water. Water patterns fascinate me. My colorful long, loose brush strokes are visible in my work to convey motion. The human body is my favorite to paint. I try not to be too realistic but somewhat impressionistic. When I’m painting I notice everything; how fabric drapes, and if wet, how it hugs the body. A shadow is as important as the object casting it. I love the way light reflects on the surface of the water but the water remains translucent. I enjoy mixing an element of fabric images into my paintings to form new shapes and colors. Painting is a looser form of art and more freeing. Sinclair is always trying to challenge herself with subject matter. "Somehow I go from painting to mosaic and back," she says. "I love working in both mediums. They are completely different. Mosaics are precise and somewhat addicting - like a puzzle that has to be finished." Sinclair's works are the anchor of our FLUIDITY show. In large part, this group show was inspired by her body of work. A man, in business shirt and jagged tie, swims submerged up to his neck in Angie Sinclair's mysterious "Cooling Down." Above the surface of the water we glimpse an obfuscated world of playful lights, a distorted realm lying just beyond the rippling waters. Bubbles and bursts of refracted colors hide the man's face and obscure his mood. Perhaps he has found himself in peril, flailing and helpless, as the waters threaten to devour him. But I, in the waves of soft and friendly oils, see an escape. A chance to exist, as much as possible, beneath the jagged pastel shards of a frantic world. A moment to relax and enjoy the cold clarity of calm waters. 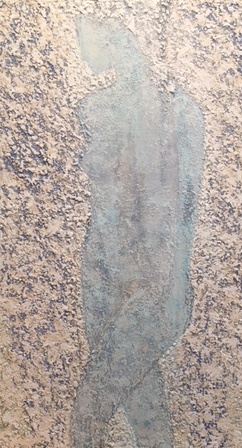 Below is a selection of Sinclair's water-themed works available at gallery43. 07.21.17 marks one year from the day we signed our lease on the gallery space, and we think that's a grand reason to celebrate! Drop by the gallery Friday, July 21 from 6-9 and raise a glass to dreaming big and working hard. One year ago today, I was driving back from Stacy's house. We had spent a long, lazy day at the pool discussing potential sites for our new venture. Heading home, I noticed this small "for rent" sign posted inconspicuously on the back of a building we had been interested in. I turned my car around, walked through the overgrown lot, and dialed the number. "I know it's the holiday weekend and you are probably enjoying time with your family," I said, "but I am very interested in the property you have for lease. Please call me at your earliest convenience." I walked back around to the front, placed my face against the windows, and started dreaming of what would eventually become our gallery43. We have been blessed, and we have worked hard. And we have only just begun. So join us in celebrating 365 days of turning a dream into reality. We have big plans for July. Follow along, won't you? DROP BY THE GALLERY AND JOIN US AS WE CELEBRATE THE OPENING OF FLUIDITY. Craig Ford's bold and brilliant paintings of everyday objects and mixed-media collages capture the spirit of pop art and Americana. He is a career graphic artist who recently rediscovered his love for oil painting. We sat down with Ford and discussed how he started, what keeps him going, and what's next. 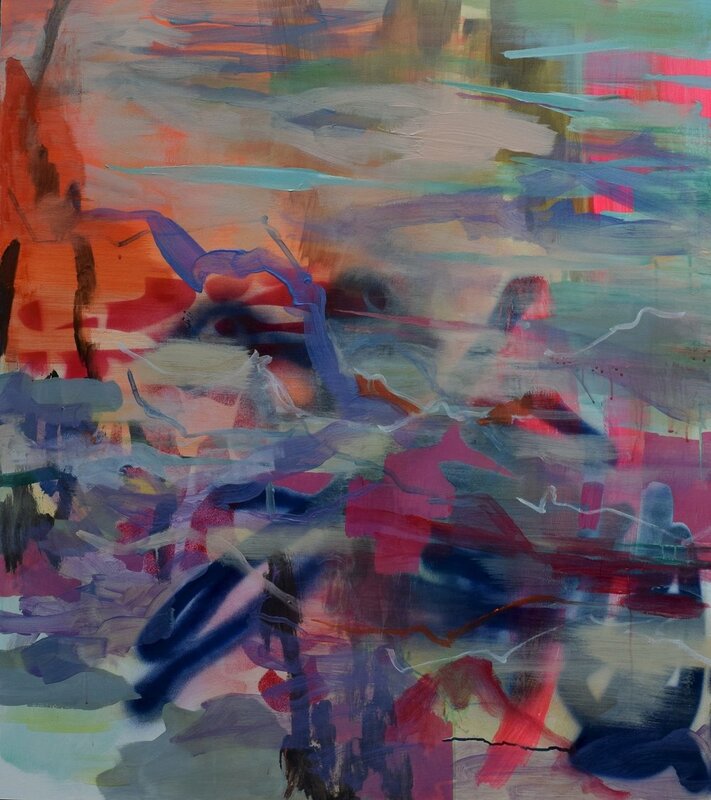 One of Georgia's most exciting emerging artists, Sabre Esler's works are cutting-edge fresh. Esler, an Ohio native, graduated from Miami University with a BFA and an MFA in painting from SCAD, Atlanta. Best known for her dreamscapes, her current body of work is about Artificial Intelligence vs. the human “imperfect machine”. Esler creates complex patterns using neurology as the inspiration to explore problem solving strategies. Starting with sculpture, exploring results of thought patterns, she creates imagery in other mediums. 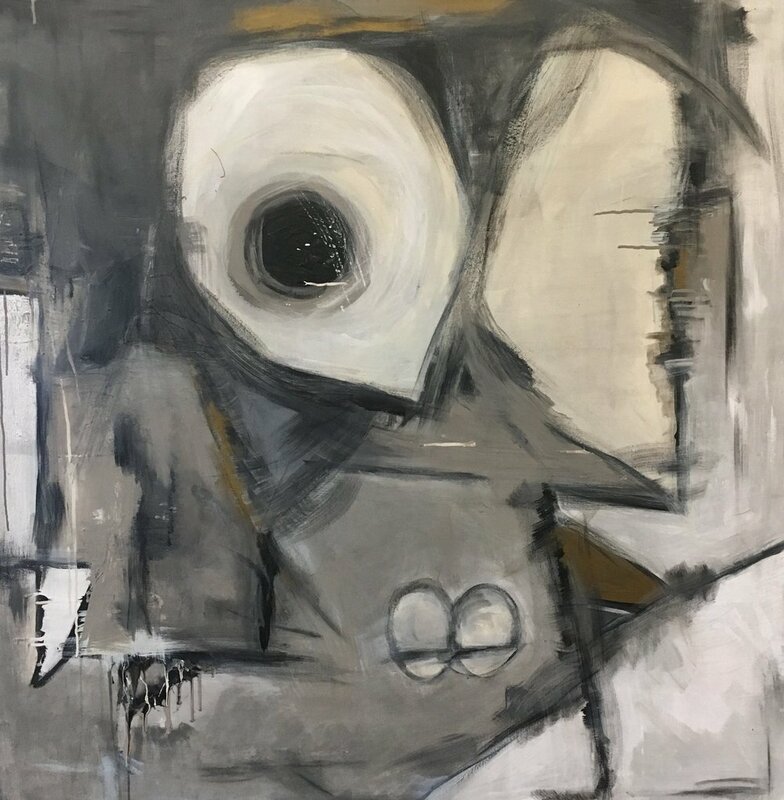 The artist, who is influenced by the Terry Winters and Antony Gormley, knows the importance of line and the energy and spontaneity it brings to a painting. Esler loves texture and the build-up of layers and achieves it in novel way; whether it’s carving through layers of paint on the canvas or using innovative mediums such as acrylic sheets lit with LED, she creates multi-medium art works. The artist approaches the creative process with the experimentation of a scientist to achieve the answer of “what if?” The results are a stunning display of patterns that weave endlessly. My work explores the imperfect machine of the mind and their pathways and connections. Taking neurology, psychology and biology, I create hierarchies of pattern. I am interested in seeing the unseen; exploring personal truths based on perceptions. Thoughts are interpreted as complex mathematical hierarchies, that weave endlessly. The process begins with fabricating a sculpture that showcases an aspect of thought patterns shaped by an event. From a sculpture, I create paintings and prints, which could be interpreted as residual after affects of a real event, much like a memory. This practice allows me to continue to change, adapt and explore the patterns and create hierarchies through layering techniques. I explore combining painting and printmaking or painting and sculpture to create hybrid pieces. By combining materials and practices, I am experimenting, much like a scientist does when exploring hypotheses. A recent body of work uses mapping of the receptor networks for neuron function in the brain during PTSD episodes. My current body of work examines problem solving strategies and innovation. The question in this case is, how does an idea take shape? Many of my pieces incorporate cloud and fog imagery where the pattern is elusive. The layers develop and crystallize as the structure of ideas form. The result is to seek a greater understanding of the complexities of the human condition, which is both universal, and yet unique and personal to the individual. 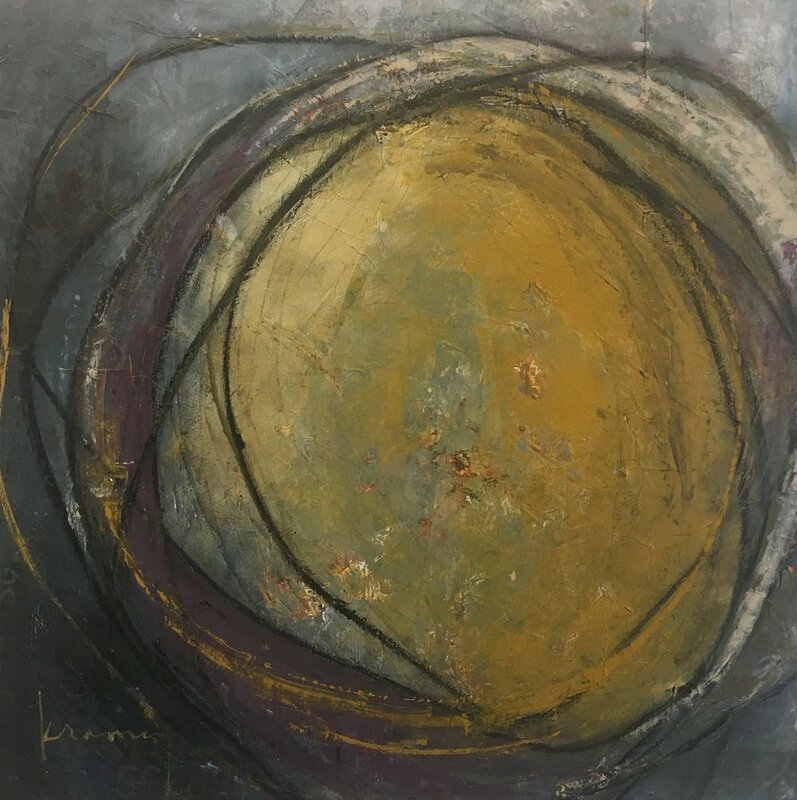 Esler's work is showcased in corporate collections such as the Ritz Carlton and SunTrust Bank and over 500 private collections. We are fortunate to have Sabre in our gallery43 family, and we invite you to discover her works in person. Here is a link to her current works in inventory. On the final Wednesday of each show, gallery43 hosts a local non-profit in the gallery for a fundraiser. During that evening, 10% of the proceeds go directly to that organization as a charitable contribution. Purchases may be made online for those unable to attend the event. This month's recipient is MINT. MINT is a 501(c)3 non-profit, arts organization dedicated to cultivating an innovative arts community in Atlanta and Georgia. They support emerging artists, patrons, and creative professionals by providing studio and exhibition space, curatorial opportunities, workshops and classes, conferences, an internship program, and other resources. Through these programs, MINT fosters a generous spirit, strengthens the regional economy, and enriches the creative community. MINT was founded in 2006 by undergraduate students at Atlanta universities, as a space for emerging artists and patrons to find their voices. Over the past 11 years, via programs and exhibitions, they have presented 1,000+ contemporary and experimental artists. MINT is accessible to creatives through many opportunities to present work in both traditional and alternative media, such as installation, sculpture, drawing, painting, photography, film, literature, and performance. Rigorously curated exhibitions and projects, community art programs, and open artist calls continue to engage and challenge the contemporary Atlanta art scene. Historically, MINT has hosted 8 -12 curated group and solo exhibits in its former gallery space, and now at satellite locations in Atlanta. They offer further visibility and support by purchasing emerging art for our Permanent Collection. Additional programs include Leap Year, MINT's emerging studio artist residency, and Invest-MINT, their underserved youth outreach and cultural enrichment program. Finally, MINT's intensive Internship Program trains 15 interns per year for a future in the arts. When I stand in front of my easel with a paintbrush in my hand, I become so immersed that time seems to stand still. It is often the only place I feel calmness from anxiety; it helps me practice mindfulness as I become fully aware of my senses. Once I put the first stroke down, excitement builds as I anticipate the direction that the canvas wants to take me. A blank canvas is like the beginning of a new day: full of hope and aspiration, a fresh start. I find inspiration from colors and textures found in everyday mundane activities, things that others may overlook. I feel there is never a lack of creative stimulus if we look hard enough. I have been inspired by scars on the human skin, a rainbow after a thunderstorm, and even the texture of asphalt. The visuals of these subjects, and how I relate them symbolically to what I am going through in my personal life, have become my greatest source of inspiration. Each piece of my artwork begins with a personal experience of pain, joy, and/or self-discovery. Art gives me the courage to tell my story, to share it with the world in a way that reveals the universality of all our pain, joys, struggles, and triumphs. We are fortunate to have Marcie in our gallery43 family, and we invite you to discover her works in person. Here is a link to her current works in inventory. Twice a year, during the months of April and October, the furniture industry descends upon the town of High Point, North Carolina. Virtually every player - national and international - can be found in the city, as most product development centers around the High Point markets. Showrooms vie for the eye of buyers as they pull out all the stops to introduce their latest products. Working with designers on residential and commercial installations, we understand the importance of original art and its role in creating and defining an environment. So join us as we explore the Spring 2017 High Point Market and show how our artists' works complement the latest trends in furniture design. Follow along on Instagram at @gallery43events as we explore the Spring 2017 High Point Market. DROP BY THE GALLERY AND JOIN US AS WE CELEBRATE THE OPENING OF FLORA. Featuring works by Marcie Coltman, Elisa Gomez, Chloe Hedden, Alea Hurst, and Cat Tesla. DROP BY THE GALLERY AND JOIN US AS WE CELEBRATE THE OPENING OF EMERGE. Featuring works by Savonna Nicole Atkins, Lynne Buchanan, Taylor Cox, Kyle Hicks, Ron Irwin, and Kimberly Ramey. Join us Wednesday, March 1 from 5-9 at the gallery for WineDown Wednesday! Our March event benefits Amy's Place. Amy’s Place, the home of Caring Together in Hope, 501(c)(3), is the country’s only free standing memory care café. A gathering place for those with dementia and their caregivers, the café offers social events for families, activities for the person with cognitive impairment and serves as a community resource center for those needing information about Alzheimer’s disease/dementia. Amy’s Place provides community outreach to raise awareness about dementia, collaborates with local businesses to provide the resources and services available to families, and offers educational events by accredited healthcare providers. The café, located at 14 Sloan Street in Historic Roswell, will celebrate its 1 year anniversary on March 6th. To date, the café has hosted 68 events, all which are free to families. ** Your donation allows the foundation to help families and is tax deductible. Hours of operation: Tuesday-Saturday 10AM-5PM with additional hours available upon request.